Sams Memorial Stadium is going high-definition, starting with Thursday’s preseason football opener between Hanna Early College High School and McAllen Memorial. 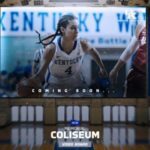 The game will be the first where the action is displayed live on the stadium’s new 65-foot scoreboard, a $1.5 million state-of-the-art marvel that features improved instant replay, live streaming, programmable advertising and all sorts of other innovations. 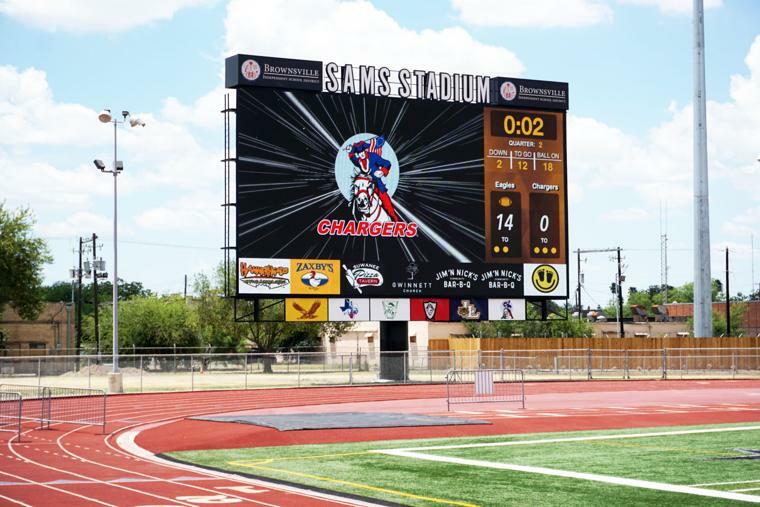 “It’s capable of many things, including it can go full-screen and put sponsorships where you want them,” said Luis G. Martinez, administrator of the Brownsville Independent School District’s instructional TV studio, KBSD, which will run the scoreboard. Martinez helped design technical aspects of the system. 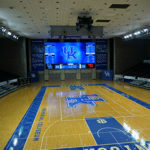 The scoreboard is actually a giant computer screen that measures 33 feet, 7 1/4 inches tall by 65 feet, 1 inch wide. 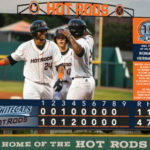 A high-end Mac computer powers the system, which has eight Tricaster 8000 camera inputs, a Tricaster 3 play replay system, a Tricaster scoreboard graphic pack, and Mac scoreboard screen operator software, according to specifications that Martinez provided. 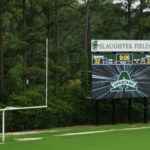 The scoreboard also includes a full audio system that originates from the scoreboard. The speakers from the old system will be repurposed around BISD. The system includes iPhone, Aux/CD player, and DVD player inputs, which will allow drill teams, bands and other users to bring theme or background music to the stadium for performances, plug it in and go. Additionally, the system has two video and two audio inputs on the home side, on both 20-yard lines and in the press box. It will accommodate up to six wireless video cameras with a range of 100 meters — great for graduations. 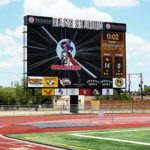 BISD officials said the scoreboard is the largest of its kind in Texas. “It’s very innovative. 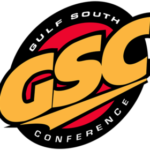 We’ll be the gold standard, the pacesetters for the entire state,” Martinez said. A similar system is in operation at Pharr-San Juan-Alamo Stadium in Pharr. On its website, the PSJA school district advertises stadium a la carte packages for $1,500 per season, video board packages for $500 per game, and game hosting opportunities at $500 per game. BISD Athletic Director Gilbert D. Leal is understandably psyched about the new system. Beyond improved instant replay, players can be highlighted right after making key plays. Advertisers also can be highlighted better than before, he said. “The most exciting part is the ability to generate income. The goal is to generate enough income that the system will pay for itself within six to seven years,” he said. Martinez said the system is tied in with the district’s video system and can be controlled remotely. Ads can be run on the giant video board any time of the day or night. Alfonso Gutierrez, interim public information director, is in the process of developing a package of advertising options. “We’re excited about this opportunity for our area vendors. They have the potential for 15-second ads that cover the entire screen to ads across the bottom border, which they can update,” he said. 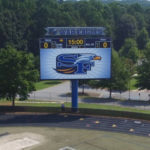 The new scoreboard is the first of several improvements to Sams Stadium that are being funded through the 11 1/4-cent increase in property taxes enacted in 2017. The parking lot is being resurfaced, the running track is being upgraded and the district is in the process of hiring an architect to design improvements to the stadium itself so that it is compliant with the Americans with Disabilities Act, said Fernando Villarreal, project and facilities manager. Multiple projects totaling hundreds of thousands of dollars are underway across the district, including the replacement of florescent and incandescent lighting with more efficient LED lights.